Introduce vegetables with flashcards which contain labels and check the vocabulary with picture flashcards without names. Vocabulary: lettuce, cucumber, broad bean, broccoli, celeriac, olives, chilli, sugar pea, tomato. Click the image to download flashcards for vegetables. 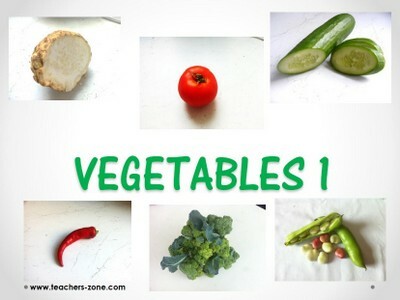 Click here to download flashcards for vegetables 1 without labels. Vocabulary: potato, onion, beetroot, carrot, asparagus, pepper, garlic, courgette, pumpkin. 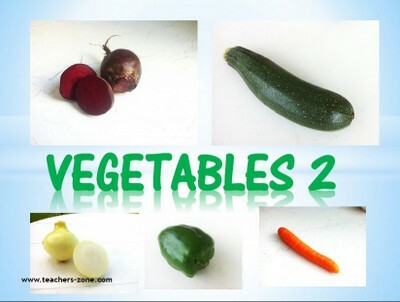 Click here to download flashcards for vegetables 2 without labels. Vocabulary: leek, cauliflower, beans, radish, sweet corn, cabbage, aubergine, mushroom. 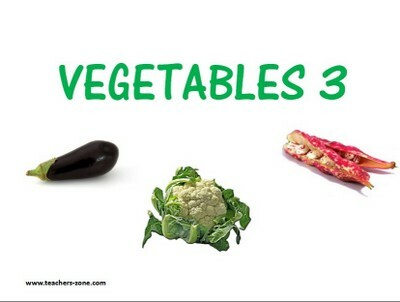 Click here to download flashcards for vegetables 3 without labels.